The celebrations and brand briefing for the establishment of the Korean branch of GEZE, a German company for windows and doors, took place at the JW Marriott Hotel Seoul on 27 February. GEZE is characterised by providing total solution products such as automatic door systems and door technology, safety technology, natural smoke and heat extraction systems, and windows and ventilation technology. In the presentation, the digitalization of product development was emphasised and the benefits of integration with buildings by building information modeling (BIM) was mentioned. Before the branch office is established, GEZE’s products were used in large buildings such as the new office of AmorePacific and JW Marriott Hotel Seoul. 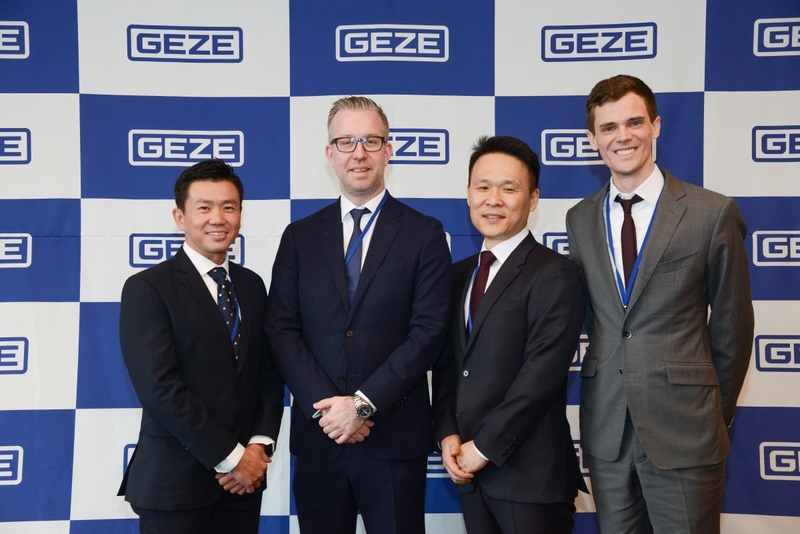 Establishing the Korean branch office, GEZE has a plan to expand its limited distribution network in Seoul to a nationwide one. This will make it easier to provide a variety of products and customisable solutions. In addition to the headquarters in Germany, GEZE manufactures products in factories in Tianjin in China, Serbia, and Spain, and sells them in 31 branches around the world. ‘Asia is a very big potential market thanks to the increasing demand for quality and safety with the rapid development of the construction industry’, said Tomislav Jagar, CEO of GEZE International, ‘Our goal is to build and develop projects required for overall life cycle of buildings and provide optimal follow-up management services’. Hur Yunhuei, the branch manager of GEZE Korea added, ‘We will provide the best products and services for our Korean customers based on safety, the most important management principle of GEZE’.